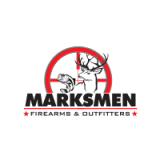 Firearms Sales Associate should be customer service oriented, with an in depth knowledge of firearms and related products. Assist customers in purchase of the appropriate products, and merchandise. Demonstrate and communicate in depth knowledge of products to customer. Ensure and maintain cleanliness of store and merchandise.